It is very easy to rent a car in Odense online with us. We offer a huge selection of cars of various segments and brands to choose from. You can reserve a car of your choice through our booking engine in just few minutes. Our website is very easy to use and completely secure for online payment. If you feel more comfortable speaking to our booking support team over the phone, then call us on our toll-free number. Our friendly and efficient team will help you finding the best car rental deal for Odense. Payments can be made only through credit card and we accept all major credit cards. We do everything to keep your information safe and secure. Book a car rental in Odense to get the freedom of movement and ease of use. Book now and avail huge discounts and numerous benefits. How Car Rental in Odense Makes the Journey Easier? Odense is the third largest and one of the oldest cities in Denmark. This city is the birthplace of Hans Christian Andersen, the famous Danish writer and poet. 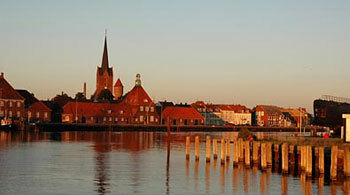 The city is located approximately 165 km from Copenhagen, between Odense River and Odense Fjord. Many historic attractions can be found in the city which are located in the different corners of the city. Being a large city, it offers numerous attractions to the tourists. To cover most of the city and its surroundings areas comfortably, it is advised to rent a car in Odense. Car hire is the easiest way to get around the Odense and explore the sights of interests. We offer huge discounts on Odense car rental deals making it even more economical. 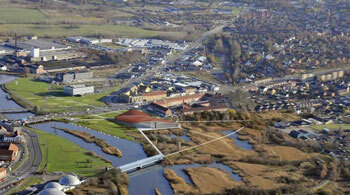 What Travelers Can Expect in Odense? It is a pleasure to drive through the historic city of Odense. Along with its history, Odense also offers numerous tourist destinations, shopping opportunities, a wide range of cuisine and amazing nightlife. Various types of accommodation options are also available in the city. All this makes Odense an ideal city for tourist. Hans Christian Andersen Museum is one of the most visited attractions in the city offering hundreds of documents, manuscripts, letters and books. St. Canute’s Cathedral is the only cathedral built in fully Gothic style that exist in the country. It was built in 13th century and showcases many tombstones of Danish kingdom. Odense City Hall, built between 1936 and 1955, holds numerous artworks and sculptures. It is inspired by the Italian architecture. Egeskov Castle is a must visit attraction located about 30 km from Odense. It was built in 16th century in Renaissance style and houses many museums. Carl Nielsen Museum is dedicated to Carl Nielsen, most famous composer in Denmark, and his wife. In this museum you can listen to some of his interesting music. 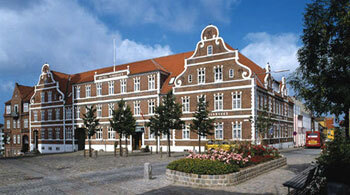 Book Odense car rental with us and capture all the historic landmarks of the city with an ease.